But no internet site, no matter how good and inexpensive the materials it offers, can take you all the way. Live performance situations--jam sessions, gigs, gathering with fellow players--are a crucial part of the learning process. And, if you're determined to excel, a flesh-and-blood teacher, although expensive, is an extremely good investment of time and money. 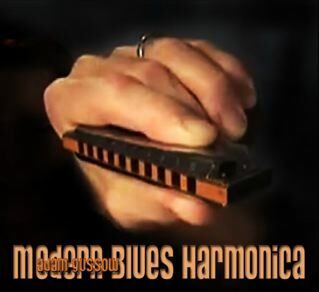 All blues harmonica teachers are NOT created equal. The best teachers offer a rare combination: they can really play and they can really teach. They have extensive professional experience as players, they know how to make the right (i.e., deep, full, tradition-rich) sounds, but they also have a gift for communicating their musical knowledge to developing players in one-on-one settings. When they come face to face with a new student, their experience with hundreds of previous students lets them quickly size up the situation. They can hear where you're coming from. Like Zen masters, they're able to meet you where you are and give you exactly what you need, which isn't necessarily what you THINK you need. A good teacher may sometimes be forced to hurt your feelings by speaking frankly, and accurately, about where your game needs work. But good teachers--the teachers on this list--also know how to inspire. That sort of inspiration is priceless. Personal instruction doesn't come cheap. The teachers here generally charge $50-100 an hour. But you'll be amazed at the difference that even a couple of lessons can make in how you approach the instrument and in the quality of sounds that you're able to extract from it. Some of these teachers also offer group lessons: a cheaper alternative. A few of them give Skype lessons, using digital technologies to bring their interactive teaching methods to your doorstep via your laptop. For the time being, I am only listing teachers in North America--with one exception for my good friend Ben Bouman in Holland. I simply don't know enough about harmonica teachers in other parts of the world.